Guys and Dolls may have been the first time anyone saw wise guy exploits brought to the Great White Way, but with A Bronx Tale, creator Chazz Palminteri has a chance to continue that tradition inspired by Damon Runyon and brought to life by Frank Loesser. 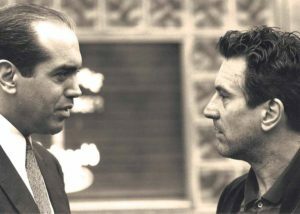 Palminteri’s creation started out as a late 1980s autobiographical one-man show whose buzz attracted Robert DeNiro, who teamed up with Palminteri to release the 1993 film of the same name. DeNiro made his directorial debut and starred as the main character’s father while Palminteri played the lead of Sonny LoSpecchio in addition to writing the screenplay. 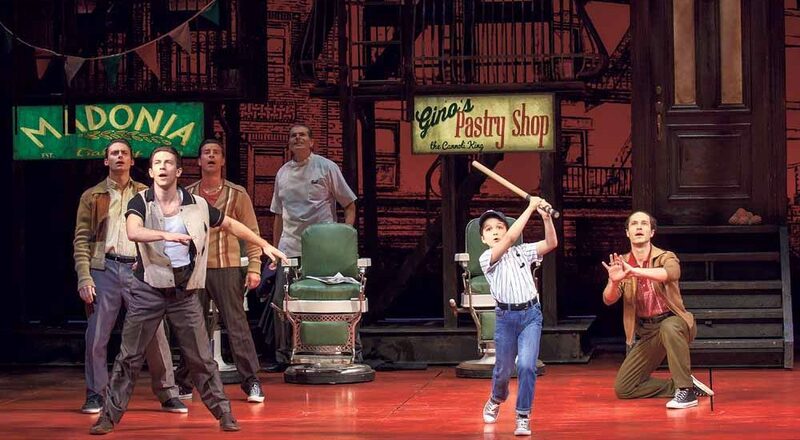 A Bronx Tale’s most recent permutation is as a musical that came to fruition thanks to the involvement of show producer and ex-record company president Tommy Mottola, book by Palminteri, stage direction by DeNiro and Jerry Zaks, music by storied composer Alan Menken and lyrics by up-and-comer Glenn Slater. 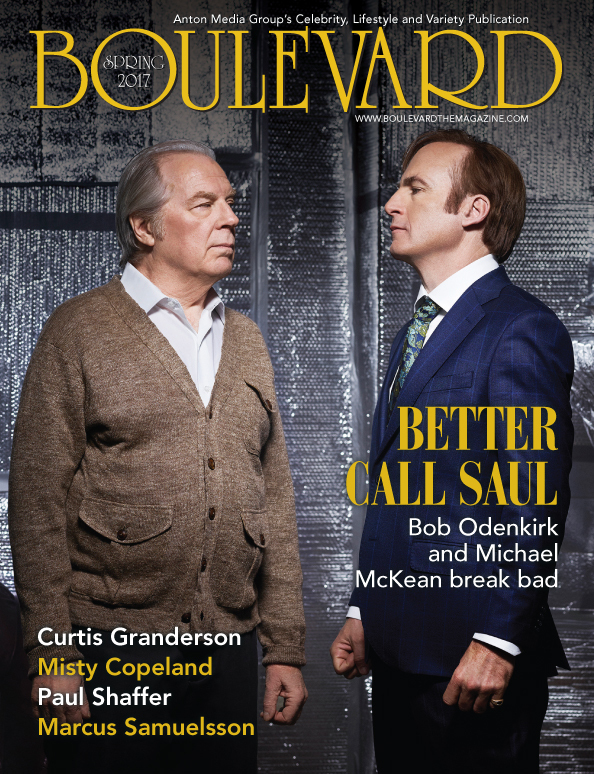 Currently running at Broadway’s Longacre Theatre, this latest version of Palminteri’s show is a creative destination he always envisioned arriving at. The critical and commercial response has been overwhelmingly positive, largely due to the complexity of emotions and relationships at the heart of this trip down memory lane. Family, racial tension, coming of age and parsing out the differences between good and evil crop up in this story centered on a young Italian teen growing up in the Bronx and getting befriended by a ruthless mobster, much to the consternation of the boy’s father. 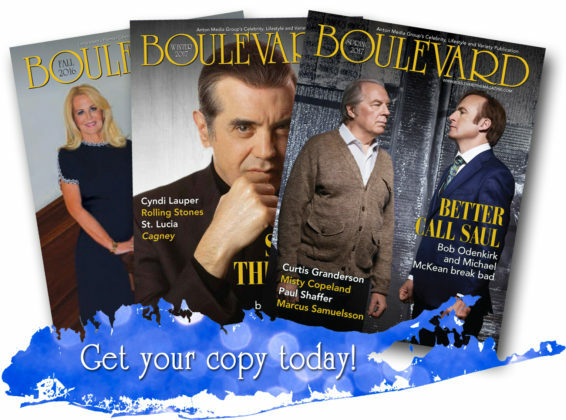 It’s a heartfelt story Palminteri wound up writing out of financial necessity when he was hustling as a struggling actor and a part-time bouncer trying to make ends meet. “I wrote it back then because I ran out of money. I wasn’t going to waste my talent and I knew I had to do something that would get me noticed, so I wrote a one-man show,” Palminteri says. “I went to Thrifty Drug Store, got five yellow legal pads and then I had to figure out what the hell I was going to write about. So I wrote about that killing [I witnessed when I was a kid], because it always stayed in my head, and the relationship I had with the wise guys and my dad. 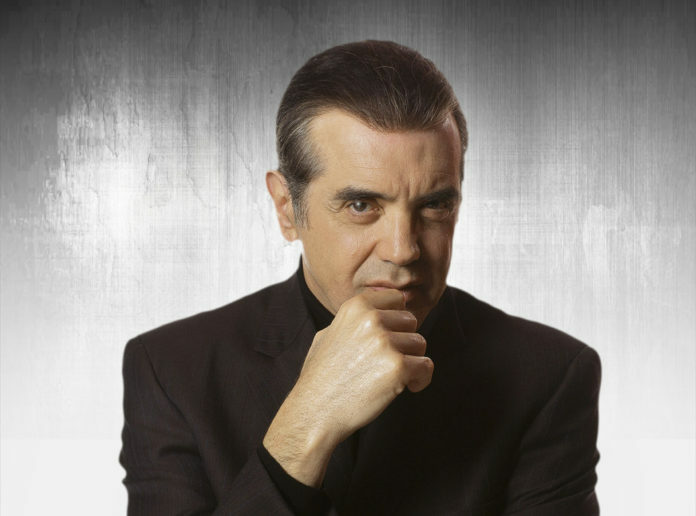 In the two decades plus since the celluloid version of A Bronx Tale made Palminteri a household name, he’s established himself as an in-demand film and television actor and even managed to bring his one-man show to Broadway for a 2007-08 Broadway run. 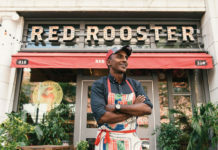 A creatively restless sort, the die hard Yankees fan has also become partners in Chazz Palminteri Ristorante Italiano, which is on East 48th Street and Second Avenue and is being run by Jack and Jeff Sinanaj of Empire Steak House Fame. 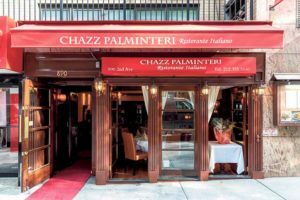 Palminteri is a frequent presence whose favorite dishes are A Bronx Tale (black linguine with brandy sauce, clams, shrimp and lobster and osso bucco (“the best in the city—anywhere”). As for this gangster-driven one-man show becoming a musical, it all makes perfect sense to Palminteri, the son of an aspiring saxophonist and someone who got his start singing in a show band influenced by the likes of Johnny Mathis, Ray Charles and Frank Sinatra. With Menken and Slater being added to A Bronx Tale’s existing creative team that includes DeNiro and Zaks, Palminteri is excited and proud about the feedback he’s been getting.